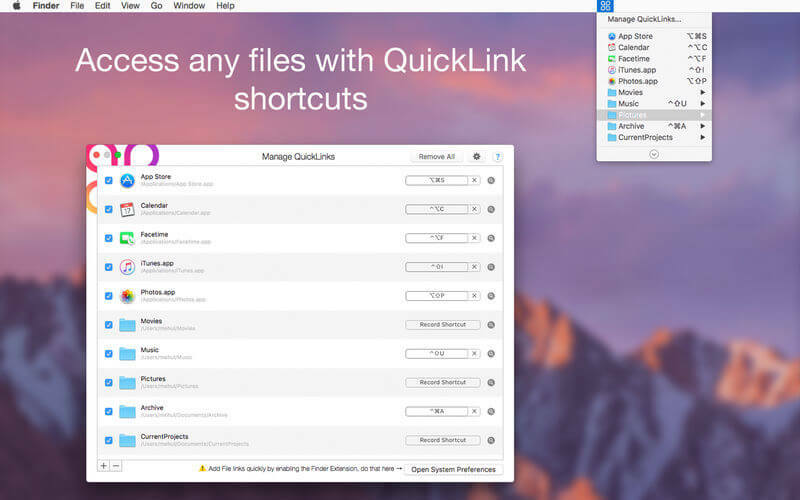 QuickLinks is the app for keyboard custom shortcut creator. 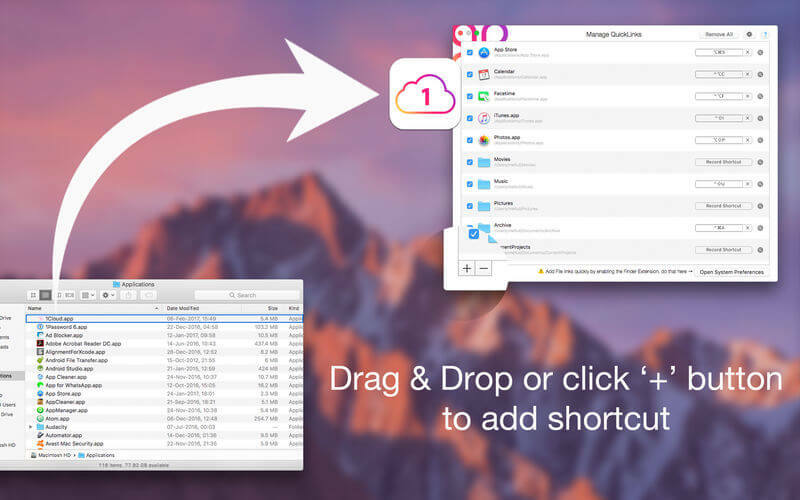 Can create shortcut for any favourite or regularly used file, folder, document, app etc. Initially select file to create shortcut for easy access. Status bar icon provides quick access to the list of shortcuts created. 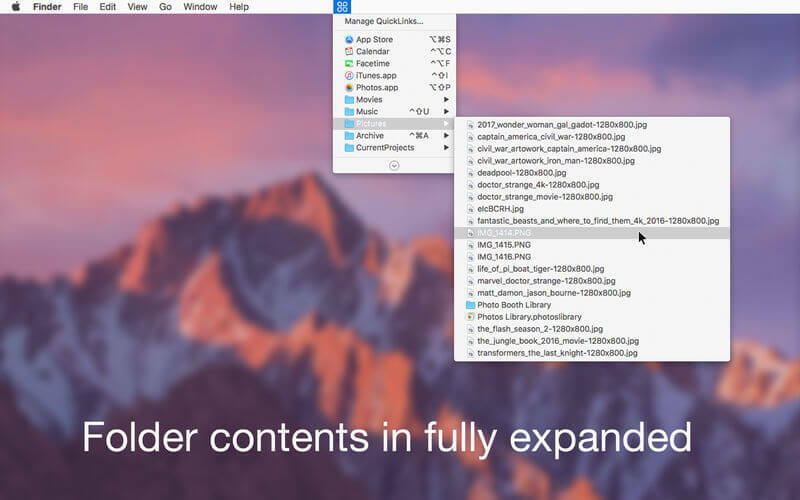 Fully customizable: application allow to add, rename, delete shortcut of any applications, folder, files in your Mac.